Best CHOICE. GOLD HOSPITALITY AWARD WINNER for excellent service, quality and maintenance. Experience the difference. Professionally decorated standard deluxe rooms offer all amenities which include: iron/board, hairdryer, coffeemaker, two-line phone with voice mail and data ports, PPV, Nintendo 64, oversized desk, and safe. 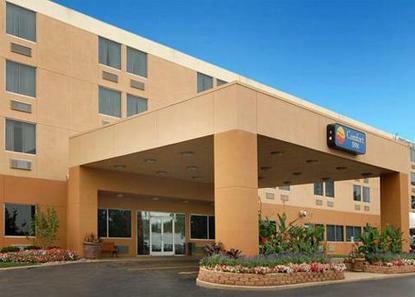 Your home away from home. FREE shuttle to/from O'Hare Airport. Begin your business or leisure day with a complimentary newspaper while you enjoy our Hot Deluxe Buffet Breakfast. 24-hour fitness center, meeting rooms and Park-n-Fly packages available. Located near greater O'Hare and greater Woodfield. Guest rooms renovated in march 2007.